Experience Urban Luxury with neighborhood charm at Siena on Sonterra. 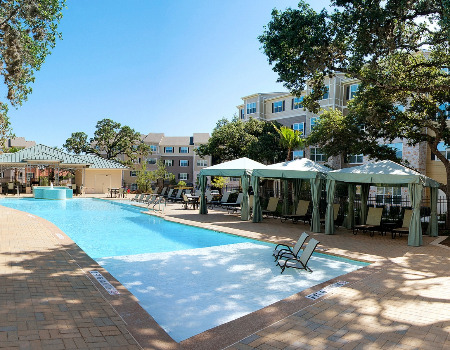 Steps away from shopping & dining, minutes from Stone Oak's medical & business district, and within walking distance to excellent educational facilities: Reagan High School and The Rainbow Station Learning Center. Siena on Sonterra offers thoughtfully designed 1,2& 3 bedroom floor plans with custom features such as granite counter tops, jetted Jacuzzi tubs, crown molding, hard wood style flooring and walk in kitchen pantries.